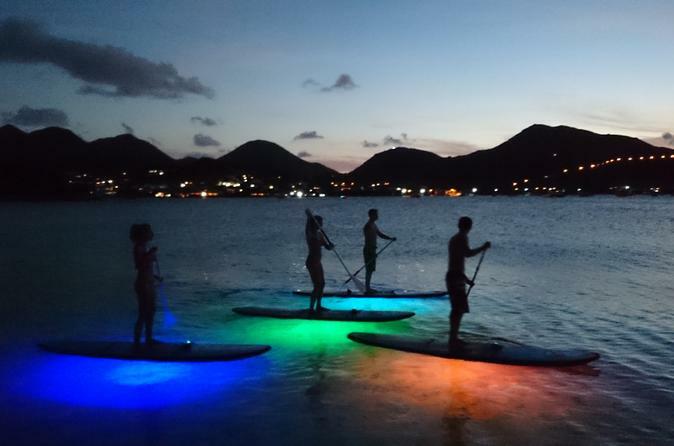 Experience one of the Caribbean’s gorgeous sunsets from a new perspective on this twilight stand-up paddleboarding tour. Choose a departure point of either Grand Case or Cul-de-Sac, which are located on opposite coasts of French-side St Martin, and enjoy a fun evening of paddling around the calm waters of Petite Plage or Pinel Island. Watch the island light up for the night, and end the tour with rum punch or another beverage. Great way to start a night out!